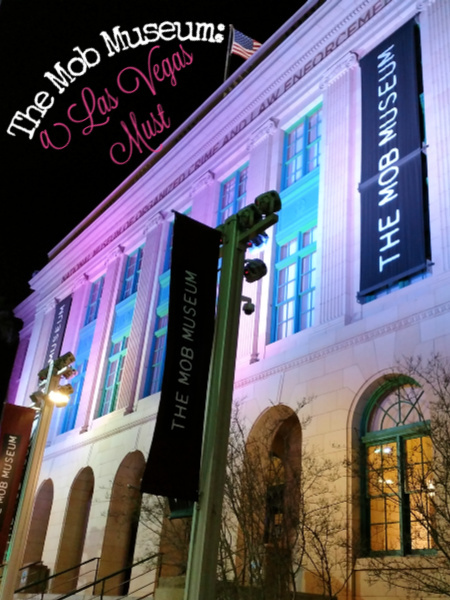 Last month I was in Las Vegas for the Travel Goods Show and found all sorts of awesome stuff, but I also went on a media outing with some other bloggers/journalists to the Mob Museum. Now, I've been there before, but the whole main floor has been remodeled and they have opened the basement as a speakeasy. If there's one thing I can't resist, it's a speakeasy, a secret room, or a place you need a password to get into. We had about an hour to rush through the museum bit (which is 3 floors), and I spent most of that watching the courtroom video again, taking some pictures that I missed last time, and exploring the bottom floor for all the new stuff, one of which is a new crime scene investigation room, where you see if you can solve the crime, based on the evidence. Several of us were interested in returning just for that. I'd like to see how it compares to the CSI: the Experience that we did at the MGM Grand. Anyway, let's get back to this speakeasy. You're "greeted" by a bouncer at the end of a long hallway. There is a distillery room, which is where we were, and the rest of the bar. 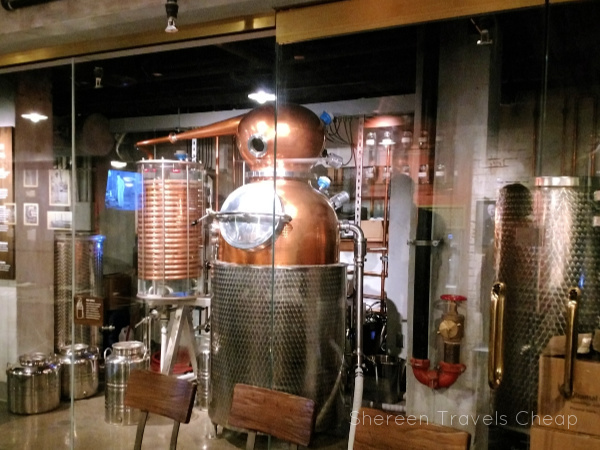 In the distillery room, you can see the equipment used in making the booze you'll soon be served, including a "tub" in which they make moonshine. The speakeasy also serves up small bits, which is a must when you're serving what might be copious amounts of alcohol. We were told that some of the drinks came in fun glasses or were presented in a unique way, so we all tried to order something different to see all the cool things. I started with the Underground Old Fashioned and was not disappointed. I love a good whiskey or bourbon and I feel like it being made on the premises made it that much better. My drink showed up in two parts: a glass with ice and a cherry on top of a book. When you opened that book, you found a bottle of booze to make your drink. It tasted as good as it looked and was fun to boot. 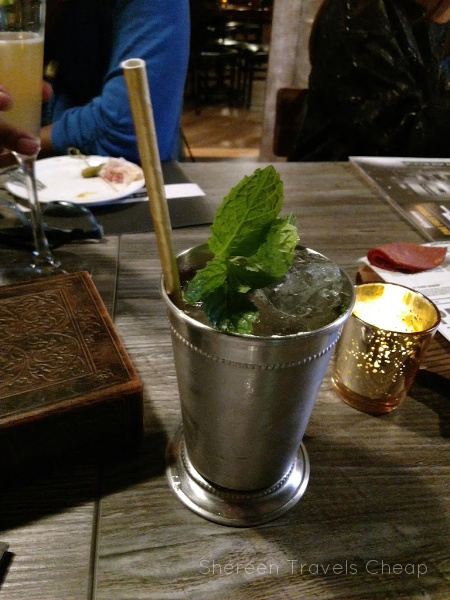 My second drink was the Moonshine Smash, which was served in a mint julep cup. It wasn't as strong or as flavorful as I expected from my previous experience with moonshine, but it was cool and refreshing, so if that's what you're looking for, this one is for you. You'll also find a gin drink served in a teacup (the Lock & Key - it tasted like chai to me), a dark rum cocktail called Airmail that was a big hit, a gin cocktail in a champagne glass called The Bee's Knees that everyone loved, an excellent drink served in a bathtub gravy boat, and so many more. All are, appropriately, gorgeous. 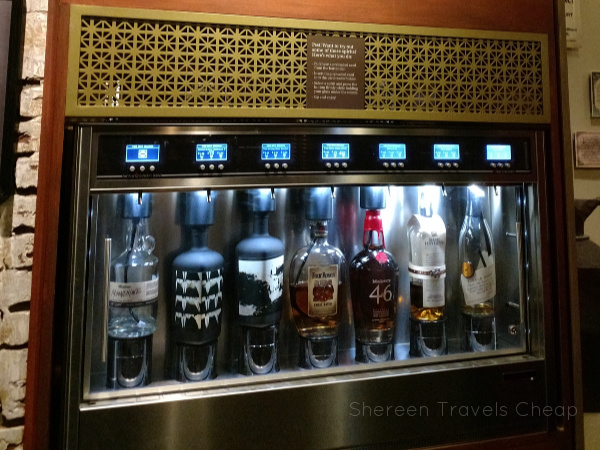 If you don't drink, you can also choose from mixed non-alcoholic drinks and fancy coffees. All non-alcoholic drinks are $7, and those with booze run about twice that, depending on what you order. We were served a variety of their small plates: Classic Deviled Eggs, Hummus Plate, Charcuterie Plate, Pastry Pigs, and Pulled Pork Sliders. They were all quite good and exactly what you want when you're having great conversation and great drinks. I also liked how everything was a finger food. 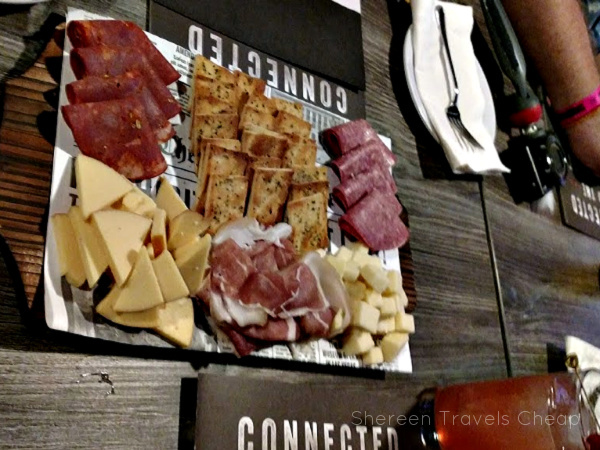 It gave it a wonderful party atmosphere and the plates were easily shareable and passed around the table. The nibbles are all pretty reasonably priced as well: between $5 and $7. 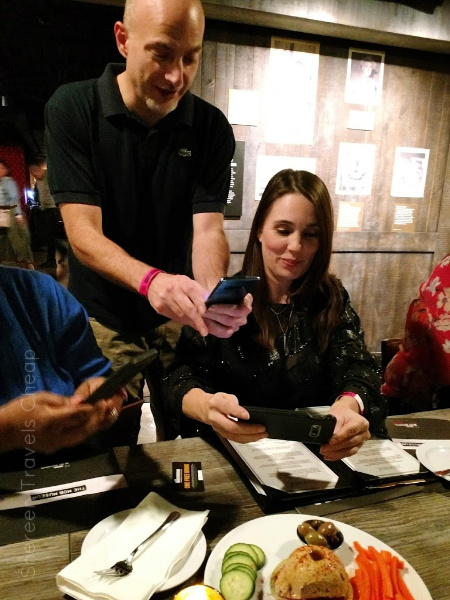 this is it: all people taking pictures of things, while others take pictures of them. LOL! 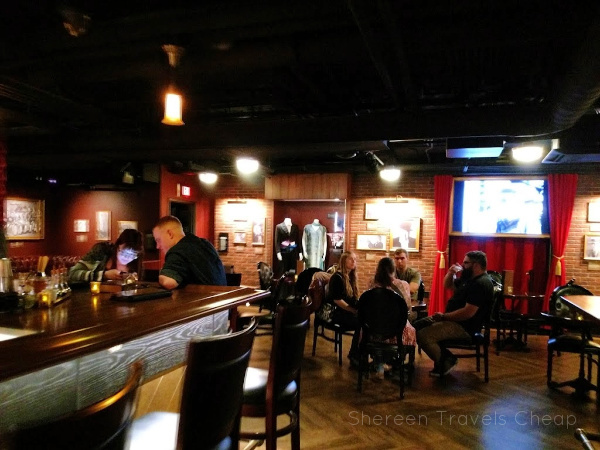 Now, I know just the Underground Speakeasy is a big draw, even if you're not a big drinker, but the Mob Museum itself is a must when you're visiting Vegas, especially if you like history. Take the audio tour, play all the games, watch the videos and see how much Vegas has changed since the beginning. When you're done, head a few blocks away to Fremont Street and/or the Container Park. There is plenty of street parking or affordable lots (I like the Llama Lot) nearby, so find a place that works for you and you can do all the downtown things easily. Of course, if you don't drive, an Uber can drop you off right in front of the Mob Museum and you can walk to everything else. Disclaimer: my admission, drinks and food were all paid for, but all opinions are 100% my own.